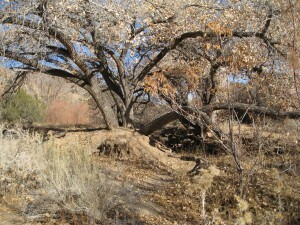 Three units of open space along the Tijeras Arroyo add to the the bio-diversity of the area and help in preserving Tijeras Canyon as open space. 66 acres along Route66 was acquired by the City of Albuquerque in 2011. 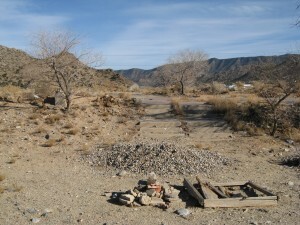 Located 1/2 mile east of Tramway on NM 333 (or Central). The was previously located here, but all that remains now are the foundations. Heading south from the road to the arroyo, there is a dramatic change in vegetation, from the desert grassland to wetlands. Standing at the mound tops overlooking the arroyo, one can see the tops of cottonwoods that grow along the arroyo. Access to this area of open space is limited to pedestrian and bicycles as there is no public parking. Again, no public parking at this site, so access is limited to pedestrians and bicycles.